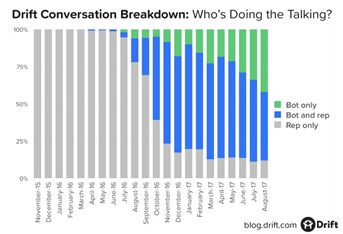 Just like account-based marketing (ABM) or intent data, "Conversational marketing" has been a buzzword for a while now. But, just what is it and how important is it? Should more companies start to think about implementation and will conversational AI-based software replace the automated systems in place already? Conversational marketing can be defined as ‘A one-to-one approach to marketing that companies use to shorten their sales cycle, learn about their customers, and create a more human buying experience’. Yet although this sounds like a new buzz word, conversational marketing has been around for a long, long time, in the form of traditional direct mail or telephone based activity. It is the technology behind it that has changed now. Many organisations don’t have the resources required to follow up enquiries and customer service requests to the level they need, so a range of new tools has evolved that can help with nurturing until the prospect is at the point of sale (or close to it). 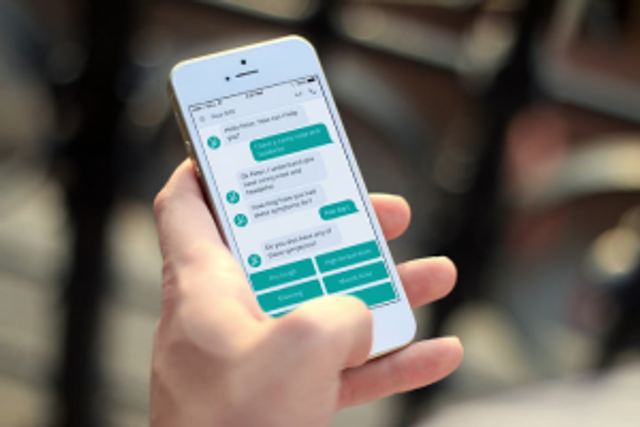 Today, many brands have real-time messaging, chatbots and AI follow-up tools in place to make the flow of communication between a business and a prospect fast and efficient. More and more companies are using such tools, mainly due to the increase in demand from consumers for an instant response. The majority of conversational tech is AI- or machine learning-based, where the software can adapt to natural language and learn how to communicate with people to achieve the desired outcome. By supporting human-like conversation, tech like this can be as saleable as you need it to be. Many of these conversations are being held at the ‘contact us’ point, as inside sales teams often can’t follow up with every lead in the time available. By using a conversational marketing tool, companies can provide instant and consistent answers whenever customers need them. And the main benefits to companies are improved customer satisfaction, increased customer interaction and being able to gain a better understanding of your customers. 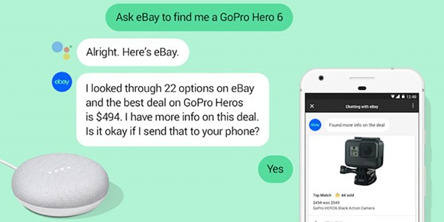 eBay built an ecommerce chatbot specifically for Google Assistant, and it’s considered one of the most popular and advanced chatbots available. It’s unique because you can access it only via voice activation through Google Home or an Android phone. Coupled with the rise of voice search, conversational marketing like this can make it seem like there’s a real person on the other side of the conversation looking for exactly what you need. Expect to see a lot more companies investing in conversational marketing tools – particularly AI-powered ones. Such tools enable fast responses and high levels of personalisation that traditional marketing automation doesn’t offer.